This highly pure state is extremely electrically conductive and is primarily used in electrical applications, along with organic dyes, pigment phosphors and x-ray screens. Tungsten has been used for a number of years in various industries. Tungsten is valued for its resistance to heat and chemicals, as well as for its ability to increase hardness of metals when used as an alloy. Tungsten powder is prepared by hydrogen reduction, which is capable of producing tungsten powder with many different grain sizes. Tungsten powder has often been pressed into bars, sintered and forged into thin rods and used to create bulb filaments. Tungsten powder is also used in electrical contacts, airbag deployment systems and as the primary material used to produce tungsten wire. The powder is also used in other automotive and aerospace applications. Purity of the powder is important, and depends on its intended use. 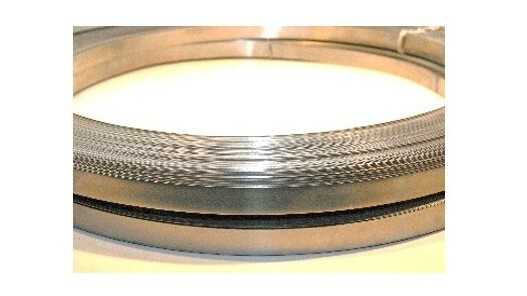 Tungsten powder comes packaged in lined drums and can be produced to custom specifications. In the early 1900’s, tungsten powder metallurgy began and tungsten became very popular because of its versatility and characteristics. In powder metallurgy, it is possible to create parts and components that would otherwise disintegrate. Tungsten powder adds strength to other metals when it is added, making it very important to manufacturers. Because tungsten is a stable element, tungsten powder is believed to have no harmful effects on human health outside of possible irritation to the eyes and lungs if exposed. Due to its significant weight, the use of tungsten powder in military applications is thought to be superior than the more commonly used material, lead. Though tungsten, when a solid material, is difficult to manufacture due to its excessive hardness, when a powder, it can be compacted, thus more easily handled. The many benefits of using tungsten powder are due to its purity and particle size. Depending on the quality of the particle grading and the consistency of the particle shapes, powdered tungsten, when pressed together within a bullet at pressures of 20,000 to 50,000 pounds per square inch (psi), will break apart on impact and spread excessively over a wide area, accomplishing a greater intended result. Air spaces between irregular-shaped particles cause the powder to lump, ultimately decreasing its effectiveness. Hydrogen-reduced tungsten powder, when faultlessly graded, can provide close to the same amount of compacted density as a solid metal. Tungsten Powder Tungsten powder is grounded from tungsten-based chemicals extracted from the earth's crust.